This 45 year old patient came to see Dr. Wong in December, 2008. He asked for a reduction of the overall recession in his temples and for an increase in density in the frontal half of his scalp. 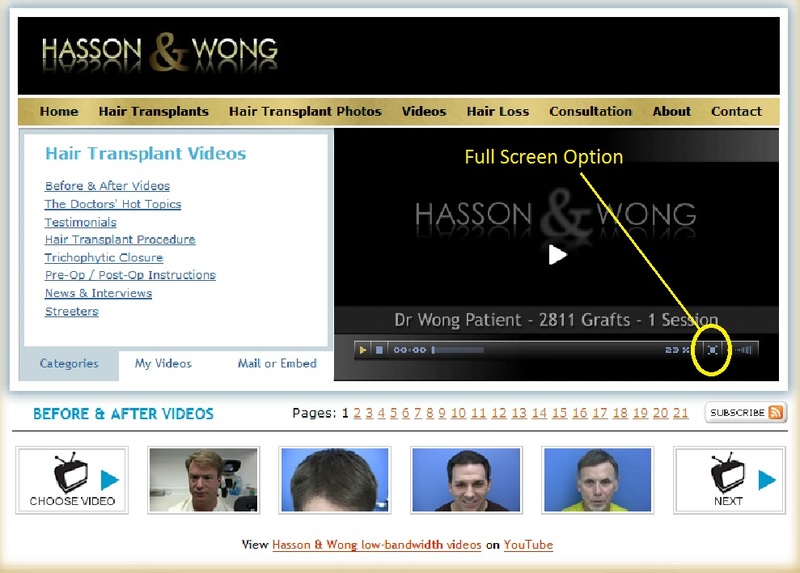 2811 grafts were placed in one session. Also, in case any of you have not noticed, there is a full screen option on the bottom right of the video player. It scales quite well for large screen monitors and retains it’s fine detail. Great work as always Joe!! » Great work as always Joe!! For those who prefer to watch the video in the forum, video now embedded in the post.